One. So, there's this thing in Incan mythology called pacha. It’s basically about dividing the world, and all of cosmos, into three different spheres: the world above, the world below and this one. While these spheres, according to pacha, are part of a unified system, the division between the spheres is where it gets interesting. That’s where we get the dualism so important with the Incans, the Yanantin. It relates to both time and space, then and now, here and there, anything and anywhere and in any time and everything at the same exact time. In short, what it means is that every thing possesses, in some way, all possible values of that thing; it exists in all three spheres. Two. Although the term folk music has only been used since sometime in the 19th century, people have enjoyed it a lot longer than that. It’s literally the people’s music. And, while it often describes music that is traditional and bound by customs, because of the inherent democracy of its meaning, it not only allows, but encourages any peoples to define and create their own folk music. So let’s do that. Three. Isla del Rojo. 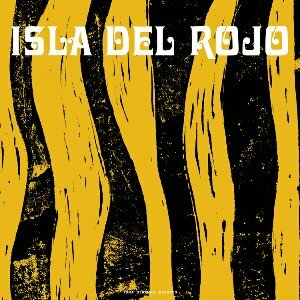 Comprised of Swedish guitar player and composer Daniel Ögren (Sarah Riedel, Musette) and Danish drummer Ulrik Ording (Anna von Hausswolff), Isla del Rojo blends various South American styles of music—with a particular focus on the Peruvian Huayno tradition—with Swedish pop, jazz, folk and film music. By mixing analog synths with flutes and woodwinds (such as the quena, played by Per “Ruskträsk” Johansson), strings with percussions, they embrace the dualism of the pacha tradition, creating music that is at the same time traditional and modern, South American and Scandinavian, romantic and festive, peaceful and and energetic, fitting equally well on a movie screen as on a Bolivian dance floor.